Tall, dark and handsome may be the man of your dreams, but twelve foot Mr. Darcy may be the man of your nightmares. 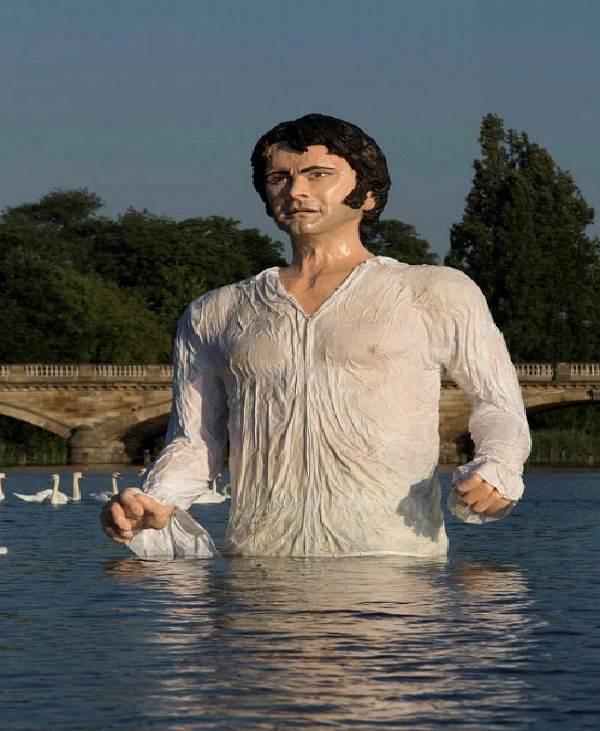 The sculpture, in Hyde Park, London, looks to be coming up from under the water, soaking wet and mysterious. The famous statue was inspired by Colin Firth's lake scene in the miniseries, Pride And Prejudice, from 1995.